Trevor Noah is a South African comedian, writer, producer, political commentator, actor, and television host. He is best known for being the host of The Daily Show on Comedy Central since September 2015. Noah began his career as an actor, presenter, and comedian in his native South Africa. He held several television hosting roles with the South African Broadcasting Corporation, and was the runner-up in their fourth season of Strictly Come Dancing in 2008. From 2010 to 2011, Noah was the creator and host of Tonight with Trevor Noah on M-Net and DStv. His stand-up comedy career attained international success, leading to appearances on American late-night talk shows and British panel shows. In 2014, Noah became the Senior International Correspondent for The Daily Show, an American satirical news program. The following year, he was announced as the successor of long-time host Jon Stewart. Although ratings for the show declined following Stewart's departure, Noah's tenure has been generally favorably reviewed, attracting particular attention for his interview with young conservative personality Tomi Lahren in late 2016. I've enjoyed Trevor Noah as the Daily Show host for a couple of years now. He seems so well educated and so well together that it is difficult to imagine the kind of repressive background he was raised in. He was very fortunate to have strong and smart women relatives to help him grow up with tools to better himself. 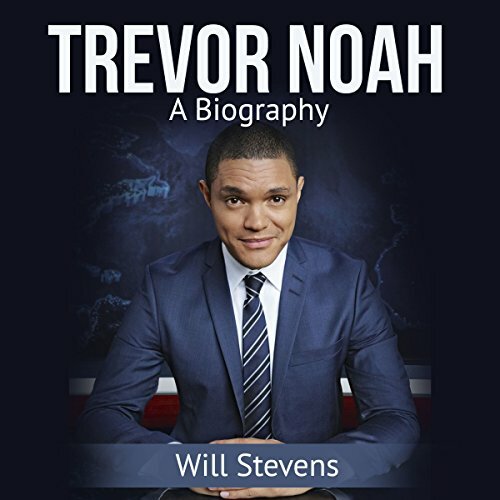 This is a very short biography, but then again Trevor Noah is a young man. He has accomplished much at his young age and has several irons in the fire still. So perhaps in the future this book will need a revision.